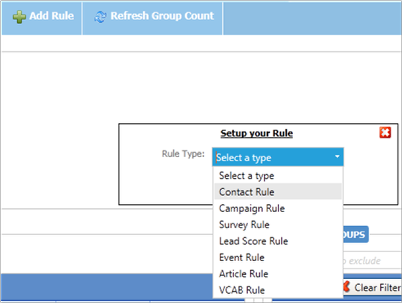 Create a Group based on contact data that is stored in Communigator. The group is based upon rules so will have the ability to refresh, based on new contacts being added that meet the criteria. This group can be used on a single campaign or multiple campaigns. 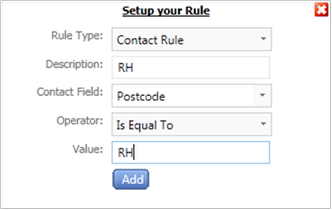 Please note:To participate in this exercise you will be required to edit or create two test contacts in Communigator with the post code value of RH for one and SE for the other! (Please see the "How to Create an Attribute (Business Objects)"